Home > Testimonials > Jim M.
Buying a home was a lot harder than I had imagined. For me, the entire process was full of challenges: from finding the right home, to issues with my lender, and finally the last minute stuff that comes up right as you’re about to close. Matt and Samantha were the exception. Everything they did aimed to help move me along in the process. They provided solutions and executed on them, instead of creating more problems. Matt’s knowledge of the area and expertise in the real estate field was a pleasure to experience. I am also grateful for his patience. 10 out of 10! 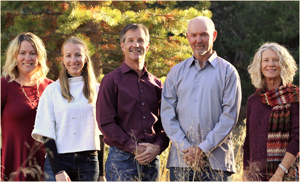 I would insist that any of my friends or family work with Matt and Tahoe Truckee Homes if they were thinking of moving to the area.